Does paper have tooth levels? I was told in the other question that cold press paper means paper having tooth. So, I want to know - are there any levels of tooth in papers? I have paper in the house. It is not glazed. I want to know how much tooth it has. Google search resulted in tooth decay information. Yes! 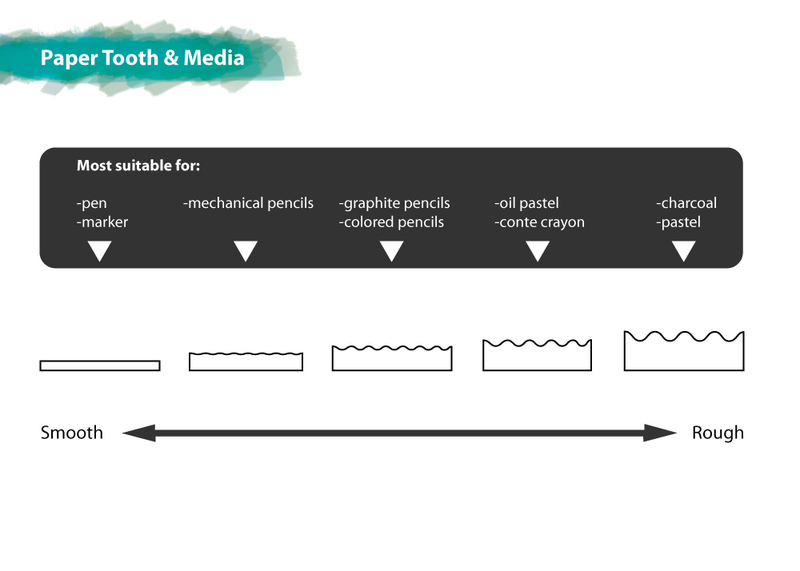 Different papers have different "tooth" -- this is another term for the roughness of the paper. The smoother a piece of paper feels, the less tooth; the rougher, the more tooth. Manufacturers generally offer three or more finishes, usually labeled rough, cold press, not/cold press and hot press. I have never seen "not press" as a substitute for cold press, it might be regional. So in order of rough to smooth: rough, cold press, hot press. Bond is a hot pressed paper. Plate paper is the smoothest. Of course your best bet is to look at/feel the paper yourself, but these catagories should give you a starting point. Not the answer you're looking for? Browse other questions tagged paper or ask your own question. Do oil pastels work better on paper with more teeth? How can I artificially age paper without staining or dyeing? How to identify the level of tooth a paper has? How can I decorate paper on mug or plate? Is there a grade or type of paper that will take glue without wrinkling?